Previous posts have discussed the often overlooked surgical option of intentional replantation. 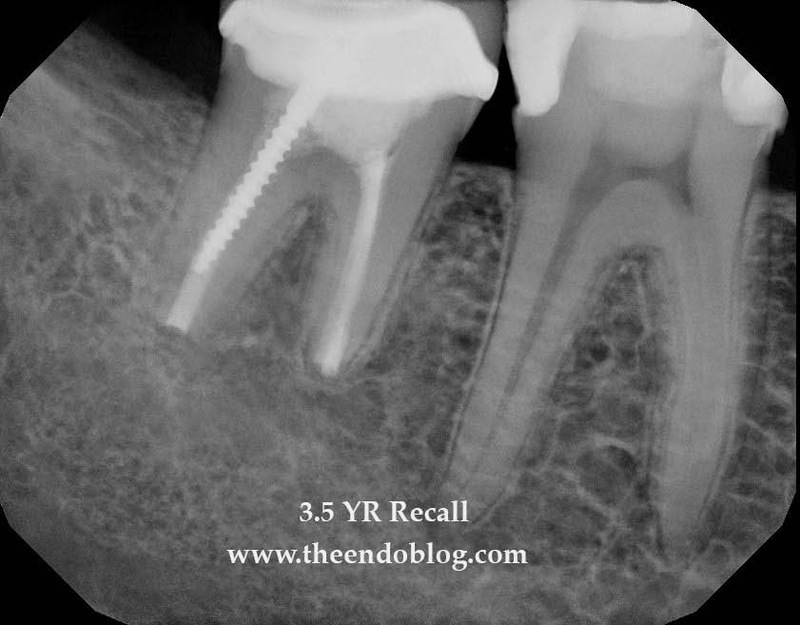 The following case is an example of 3.5 yr success of intentional replantation of a Md second molar. #31 Prior RCT with Chronic Apical Abscess - with recurring sinus tract. Radiograph shows the overfill on all canals and large periapical/ furcal lesion. CBCT shows the extent of the bone loss. CBCT also shows the root anatomy and the buccal/lingual bone in tact. 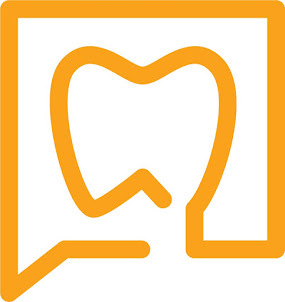 At this point, retreatment or surgery are the options to preserve the tooth. With a crown, not needing to be replaced, a long post and overfilled gutta percha - which can be difficult to retrieve, we considered a surgical approach. Since this is a second molar, the buccal bone is too thick to allow for conventional surgical approach (apicoectomy). After discussing risks of intentional replantation, pt elected to preserve tooth using intentional replantation. Note the bone levels around the tooth. They are identical to the pre-op bone levels. Intentional replantation has preserved the natural tooth AND the periodontium.